Nash is a native of Madison MS. He came to know the Lord at a young age, and grew up in the Madison area, graduating from Madison Central High School in 2003. He then attended and graduated from Mississippi State University in 2007 with a bachelors degree in Communication with an emphasis in Public Relations. Before coming to CCH, Nash worked in different capacities in the insurance industry, as well as part time ministry positions in youth ministry. He enjoys his beloved MSU Bulldogs and Cincinnati Bengals, good food, and spending time with his wife and his kids at CCH. Emily also is a native of Madison, MS, and graduated from Madison Central in 2008. She proceeded to attend Mississippi College, graduating from there in 2012 with a degree in Special Education. A believer from a young age, she has worked in church ministry in several capacities, including children’s and special needs ministries. She has worked in several positions, most recently as the programs director for a camp for young people with special needs. She enjoys reading, cooking, spending time with her husband, and being mama to the 14 kids at CCH. She is also currently taking courses online at Southwestern Baptist Seminary, pursuing a master’s degree in Christian Education. 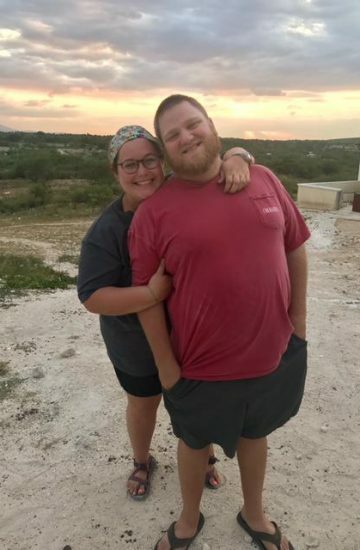 Nash and Emily have been married since December 2014, and have served at CCH since February 2017.